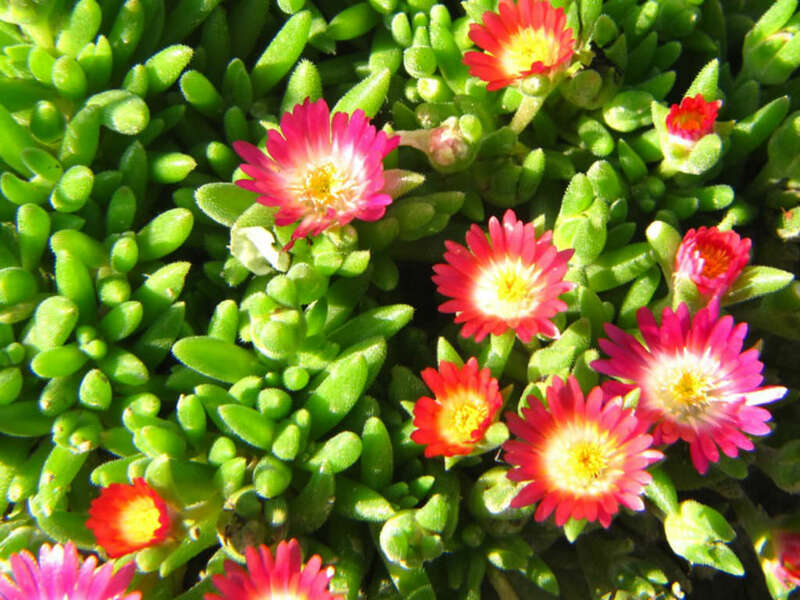 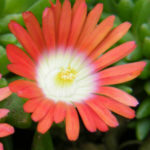 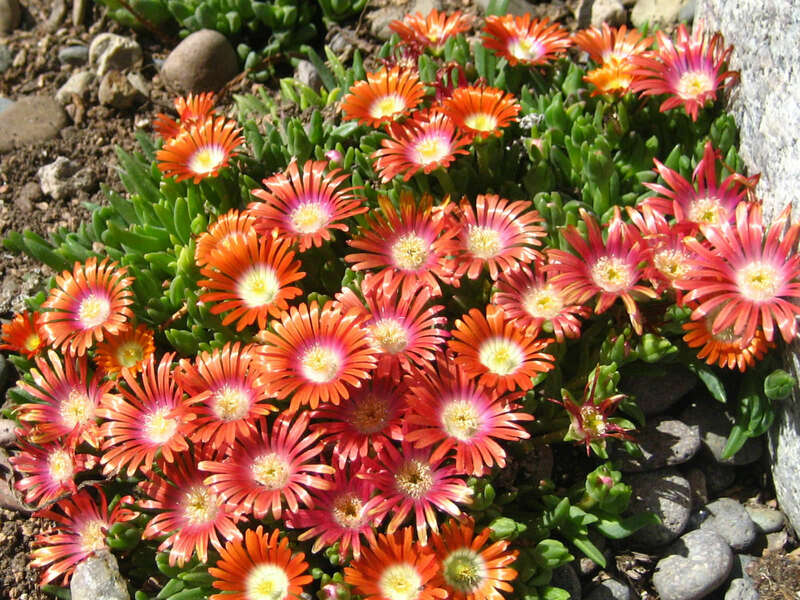 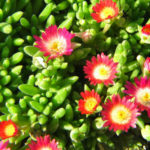 Delosperma dyeri is a mat forming perennial succulent, up to 3 inches (7.5 cm) tall. 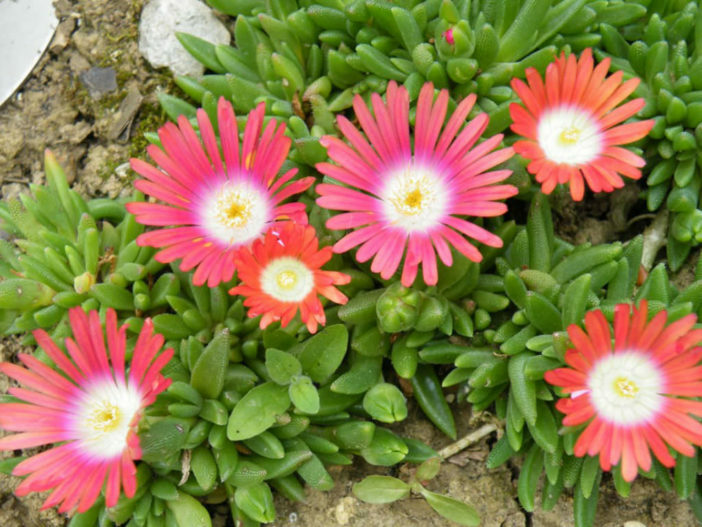 The dark green foliage spreads approximately 15 inches (37.5 cm). 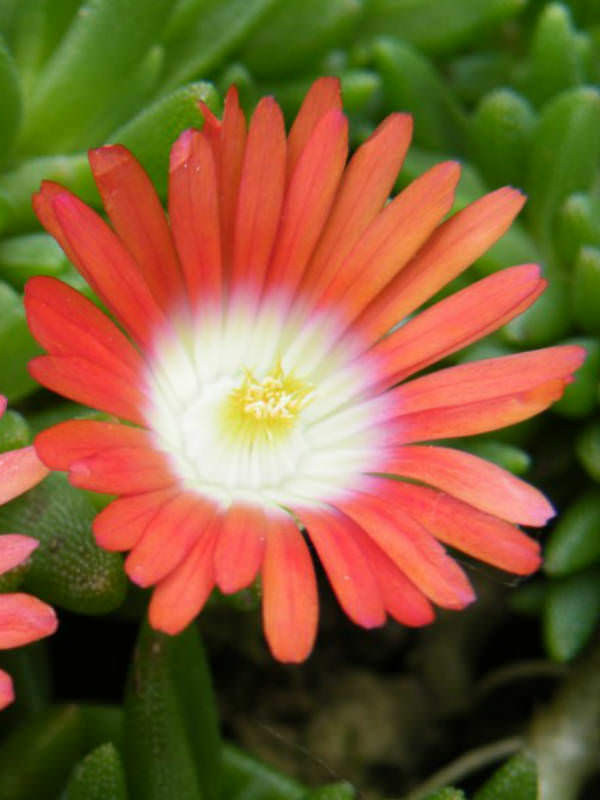 The starburst-shaped flowers are borne up to 4 inches (10 cm) above foliage, coral-orange in color and up to 1 inch (2.5 cm) in diameter. 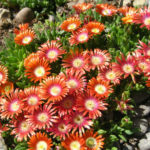 Native to the mountains of South Africa (Eastern Cape).